Valerian (Valeriana officinalis), or Valerian root, is an herb with a rich history in Europe as a natural sleep aid and is considered a “sacred herb” by the Celts. The root is said to calm nerves, lower anxiety and combat insomnia. It contains short chain fatty acids which are responsible for the overall calming effect on its users. Valerian grows as a sweetly scented blooming flower, found in Europe, Asia and the U.S. That said, the roots have a pungent odour, often considered unpleasant. Cats are also attracted to the scent in the same way they are to catnip. Valerian is not entirely without side effects. Users have reported minor issues such as headaches, dizziness and stomach problems. If pregnant or nursing, check with a doctor before use. It is also recommended to avoid using it before operating heavy machinery and if you have been diagnosed with liver disease. It can also interfere with or increase the effect of other drugs or natural supplements like St. John’s wort, kava or melatonin. Caution is also advised if using barbiturates, benzodiazepines and other sedative drugs. 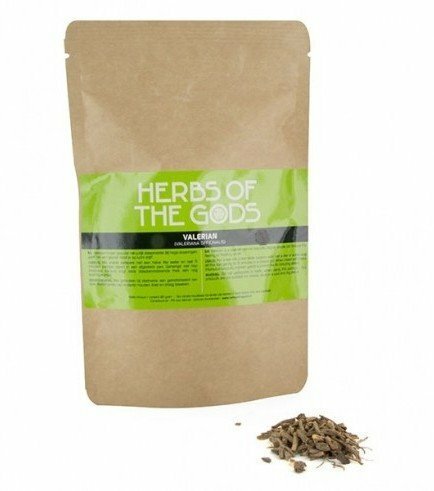 Valerian root is used either by itself or in combination with other herbs or teas. Damiana has been slowly gaining popularity since the '60s, and new uses have been discovered for it throughout this period. Let's explore what damiana is, and how it can help you! Cannabis can trigger anxiety in some users, especially those who overindulge or are not used to cannabis. Responsible cannabis use is important, so should you find yourself in this situation, here are 5 ways you can help overcome cannabis-induced anxiety. Lucid dreaming can be enlightening. Lucid dreaming can be scary. Lucid dreaming is a practice that can have profound impact on peoples lives. With patience and practice it gets easier over time. Using Zativo dream herbs will assist you on your dream quest.